Come and experience your authentic and true self. Waiting to shine like the sun into your world. and see your dreams blooming. Be Present. Be True. Be YOU. Looking for assist and long term support with your dreams and goals? Group coaching and individual self study course on depth of releasing all that you don’t need, yet seem to hold on. Time to be whole and lighter. Career coaching and brainstorming your ideas into the reality … So you live your dreams. With each breath, gain new insights and inspirations to create the life worth living. Support Network for Creative Expression. “WisdOM Wear” offers fashionable tools that result in a positive Spiritual Transformation for those that wear our apparel. We are a clothing line located in Kauai, Hawaii that incorporates crystals into Sacred Geometric shapes on our apparel. 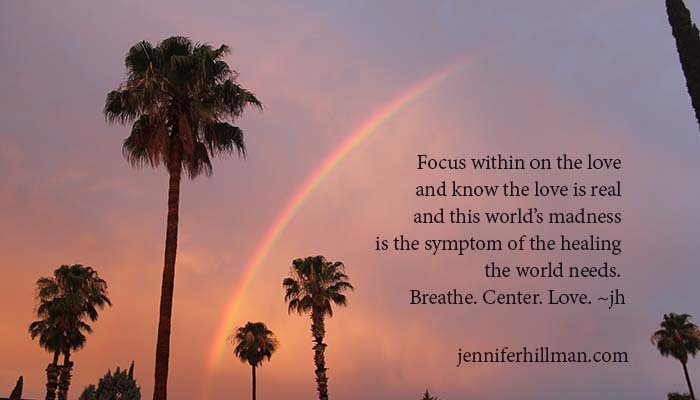 Denise Linn, Spiritual Master assist you in balancing! Denise Linn was my first spiritual teachers and one I still connect with on a deep level. I highly recommend her teaching and courses. She will teach you a beautiful way of clearing your energies, your home and create sacred space! and achieve more and more with each passing day. You are worthy of the best in life as you are love and loved. Don’t forget this! your life the best you can be. You and only you are responsible for making/creating your life the best you can be. compassionately and with all your being. Know it is good to say NO and mean it. Boundaries are made through discernment and lessons. Jennifer has taken her designs and words and put them in a practical form, in everyday items we use to keep the inspiration going. Your inner knowing is right on track.